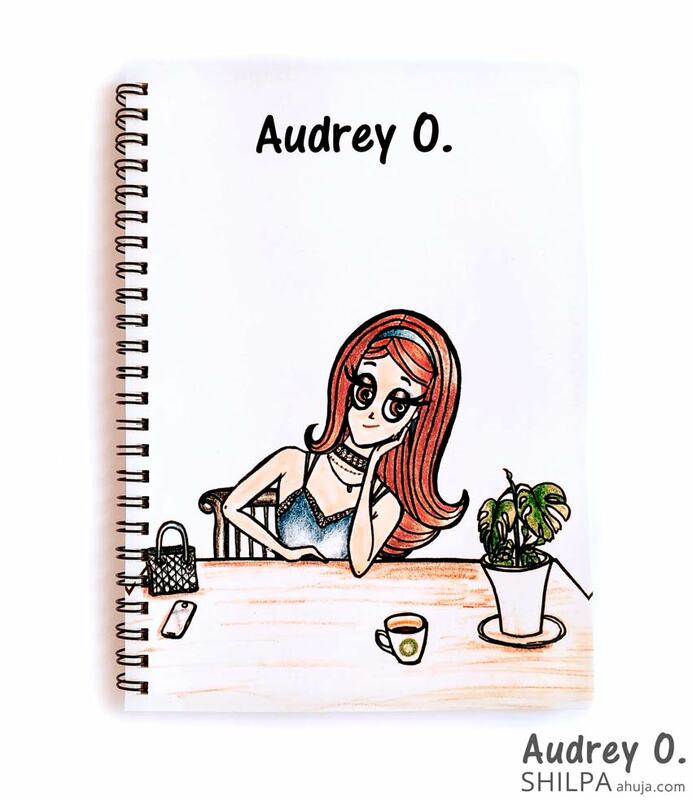 Designer, glossy and super cute, Audrey O. notebooks are sure to bring a smile to your face every time you pick them up to jot down your thoughts. 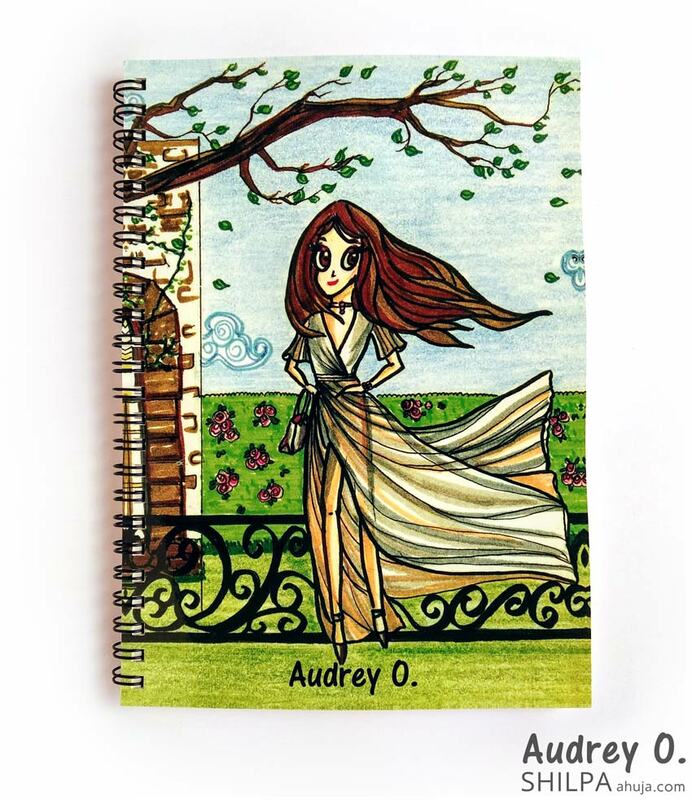 Whether you need a notepad for your office desk, or a to-do lister for your home, whether you’re a student, fashionista or just about anyone who appreciates art, you’ll love Audrey O. notebooks. Notebooks reach in 4-6 working days. Available in India. 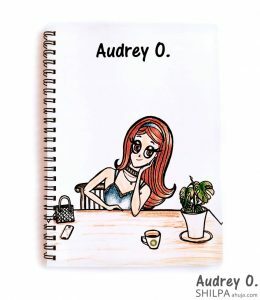 Each notebook features a unique hand-drawn sketch of your favorite cartoon character – Audrey O. by Shilpa Ahuja. 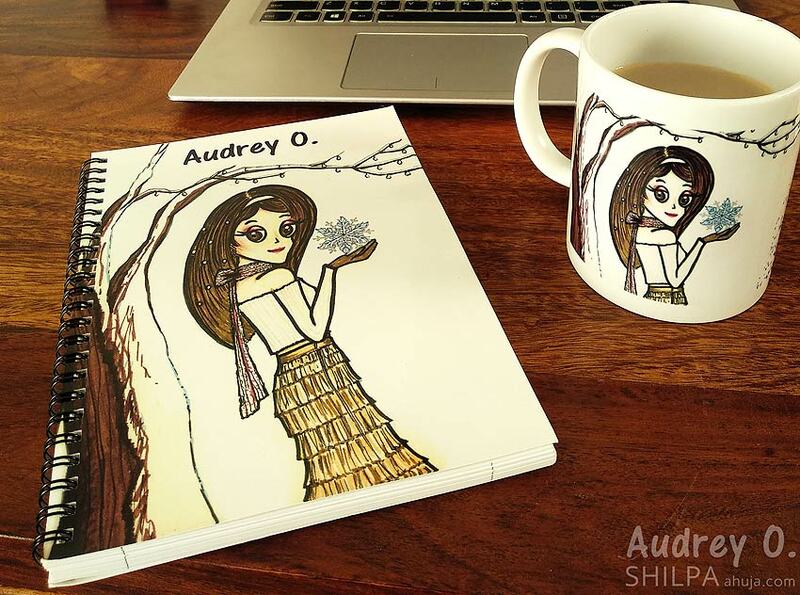 Notebooks can be shipped online in India, and ship within 4-6 working days, and are available in best prices. 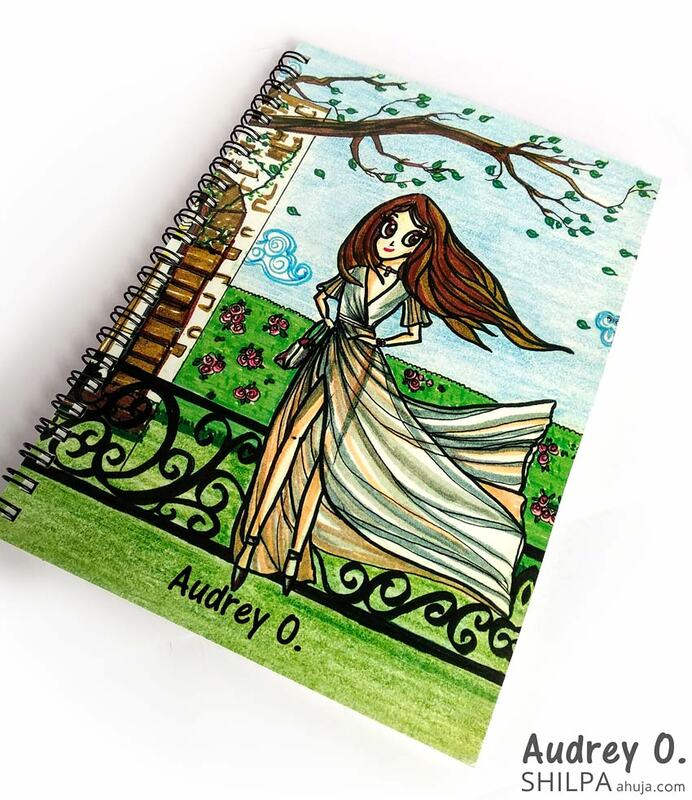 With 80 ruled pages (160 sides) and glossy covers, these spiral-bound pads are the artsy, funky notebooks notebooks you never knew you needed! 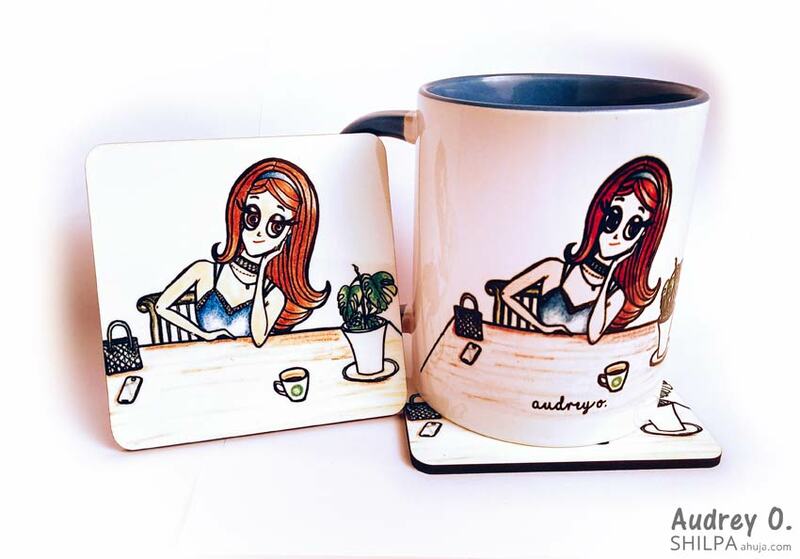 They are fancy and perfect for any desk, and are great conversation starters! 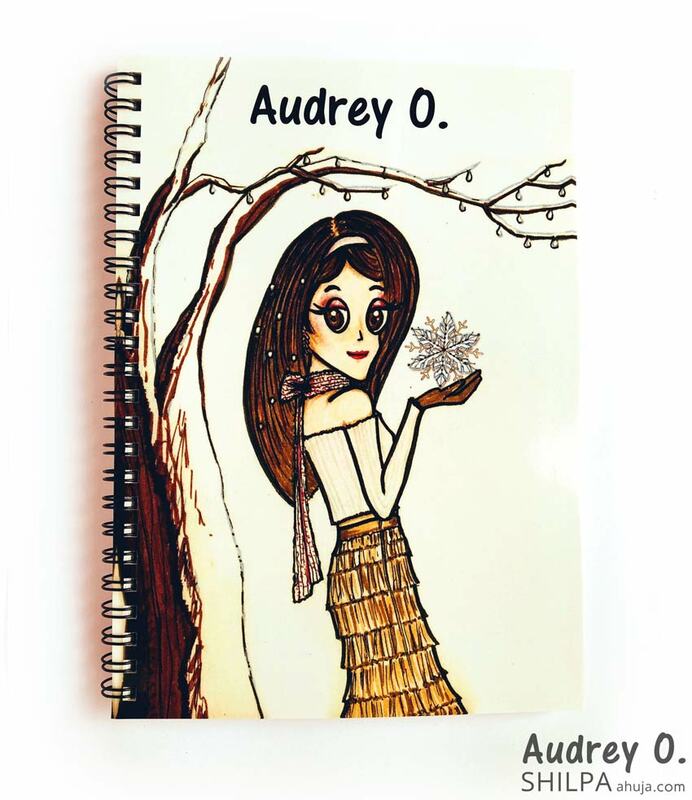 Glossy cover and plain-white glossy back. 80 ruled pages (160 sides).